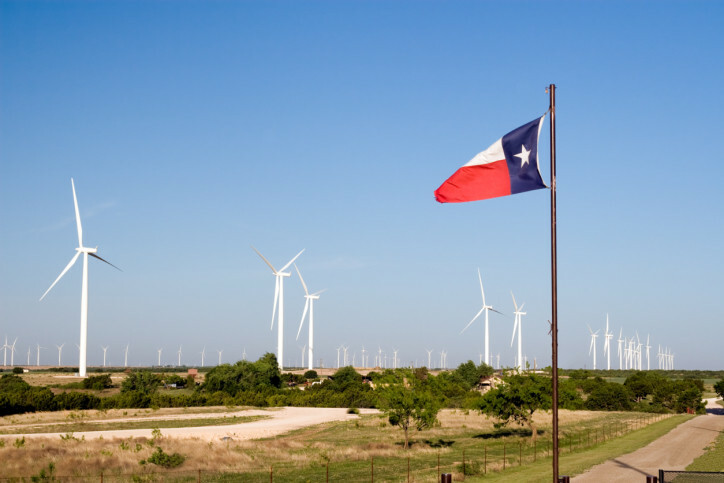 The average Texan pays approximately $0.1098 per kilowatt-hour (kWh), and uses about 1,171 kWh per month. As a result, the average monthly Texas electric bill is around $128.50, or $1,542 annually. Texans have a lot to be grateful for – successful metropolitan cities, verdant ranchlands, world-class museums, and the home of various scientific breakthroughs, to name a few. Yet another commodity Lone Star residents find worth celebrating is electricity deregulation, which can help consumers greatly reduce the average electric bill in Texas. Approved by Texas Senate Bill 7 on January 1, 2002, electricity deregulation allows 85% of Texas power consumers (those served by a company not owned by a municipality or utility cooperative) to choose their own providers. If you live in one of the more than 400 deregulated cities throughout the state, you have the power to compare and choose plans to save money. Dallas, Fort Worth, Houston, Waco, Tyler, and Abilene are just a handful of the many cities you’ll find recognizing deregulated power. While it is possible for us to calculate the average electric bill in Texas, it is challenging to pinpoint and predict your bill due to three major factors: natural gas costs, company operating costs, and consumer usage. One question that many people have relates to the relationship between fuel and electricity, namely what role does fuel play in driving up the cost of electricity. The answer to that question is a simple fact: Most power generators own plants that burn natural gas. To pay for the gas to generate your electricity, they push the cost off onto customers, which directly affects the rates that you are billed for service. Also, different companies have different methods of implementing fuel costs into your total bill, which can drive up the standard rate individuals are charged for energy. Operating costs are the result of expenses that are dependent on both individual providers and national market fluctuations. From a broad perspective, as the energy industry experiences peaks and troughs, the instability will be reflected in rising operating costs and higher rates. For companies, it is various goals and strategies, along with the underlying desire to run as efficiently as possible, that will play a role in how the cost is allocated in billing. Whether from equipment investments, line losses, meter reading, or a variety of other work-related charges, operating expenses add up for customers and can noticeably influence the final bill. Consumers can also play an important role in the electricity costs they face. When getting started, there are a variety of electricity plans to choose from including fixed, indexed, and variable plan. These plans differ in the way they charge consumers as the rate is ultimately calculated based on your own projected usage, the public’s average usage, or your personal monthly consumption. The problem with this is that in some cases customers can be overcharged as actual energy use is not considered in some forms of billing, leading to a higher resulting electricity rate to be paid. Knowing that in Texas the average price per kilowatt hour is around 10.98 cents, we can do some valuable forecasting. Armed with our cost and some math, we can anticipate what the average monthly expense will come out to using simple multiplication. To put that information to use for you, we’ve calculated a few monthly rates for a variety of homes in a number of sizes. A one-bedroom apartment is typically around 750 square feet. According to online databases, in Texas, the average energy use is about 750 kWh/month. With our average 10 cents per kilowatt-hour rate in mind, (mathematically$.1098/kWh x 750 kWh/month) that would mean homeowners incur a monthly cost of around $82. In a two-bedroom apartment that has around 1000 square feet, the average amount of energy used is about 880 kWh/month. Factoring in our ten-cent cost per kilowatt (or mathematically $.1098/kWh x 880 kWh/month) we come out with a bill for the month of around $97. Contrasting apartment energy use is consumption within a house. A more moderately sized home that has around 2,000 square feet has been noted as using 1325 kWh/month. Given the ten cents required for each consumed kilowatt hour(mathematically $.1098/kWh x 1325 kWh/month), the monthly cost would be around $145. For a larger house, the average size comes out to around 4,000 square feet. With the published numbers suggesting that the average amount of energy used within a home this size is around 2200 kWh/month (mathematically $.1098/kWh x 2200 kWh/month), the total for the month would be around $242, give or take. At Payless Power, our customers use 27% less energy than the average Texas customer. By leveraging heightened technology, a daily notification system, and access to a variety of principal utilities around the state, we are able to provide affordable rates with no deposit required. No money down and total control of your usage. Our Prepaid Electricity Services empower you to challenge the average electric bill in Texas. Start saving today!